Increasing the number of short trips taken by bicycle is one of the keys to encouraging citizens to choose the bicycle. But this short is maybe a little silly. 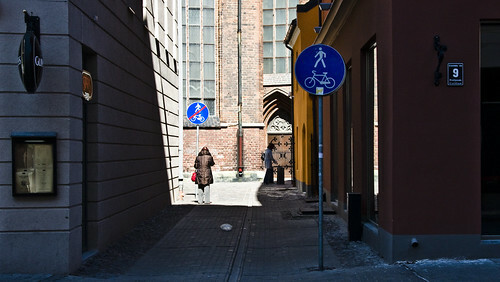 As seen in Riga, Latvia, last year. Although the city IS working on separated infrastructure, it must be said, and enjoys up to 7% modal split for bicycles in the summer months. Around 2% in the winter, apparently.